DMER PGP CET 2018 – Directorate of Medical Education & Research, Government of Maharashtra will conducte the Online Common Entrance Test for admission to Postgraduate courses in Physiotherapy, Occupational Therapy, Audio, Speech & Language Pathology and Prosthetic & Orthotics Courses for the academic year 2018 – 2019. Candidates can check the complete information of DMER PGP CET 2018 application process, eligibility criteria, Hall Ticket, Result, Counselling and other important information on this page below. Latest: PGP-CET-2018 Notice regarding Procedure of Fresh Institutional Level Round & Notice regarding Personal Counselling Process for Admission to Newly Permitted (MPTh) Course has been released. Scroll down to check the same. Candidates seeking admission in Postgraduate Courses in Physiotherapy (PGP CET), Occupational Therapy (PGO CET), Audio Speech & Language Pathology (PGASLP CET) and Prosthetics and Orthotics (MSc (P&O) CET) have to apply online from the official website www.dmer.org before the last date of form submission. Those who fill their application as per schedule will download their admit card before the entrance exam, check result and participate in counselling after the examination. Newly Permitted Physiotherapy Postgraduate Courses (MPTh) at MGM College of Physiotherapy, Aurangabad. Check here PGP-CET- 2018 Notice regarding Procedure of Fresh Institutional Level Round. Click here to check the Notice regarding Procedure of Revised Institutional Level Round. 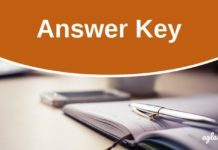 Click here to check Notice PGP-CET-2018 Stay to Institutional Level Round for MPTH Course. Click here to check Notice regarding Preference Form Filling and Counselling Process for Admission to PGP/PGO/PGASLP/M.Sc.-(P& O. )-CET- 2018. Candidates, please note that Admissions to Postgraduate Courses in Physiotherapy / Occupational therapy / Audio & Speech-Language Pathology and Prosthetics & Orthotics Postgraduate [M.P.Th./ M.O.Th./ M.A.S.L.P / MSc. (P&O)] for the academic year 2018-19 will be done through counselling & Preference form filling system. This admission process is for Private unaided, Minority, Government and Corporation Physiotherapy / Occupational therapy / Audio & Speech-Language Pathology and Prosthetics & Orthotics college in the State of Maharashtra. Check here fresh List of Eligible Candidates for Institutional Round for MPTh Course in Private/ Unaided/Minority Institutes. Click here to check the revised list of eligible candidates for an Institutional round for MPTH Course. Click here to check the Provisional Vacancy Position for Institutional Round of MPTH Courses at Private/Unaided/Minority Institutes in 85% State Quota. Directorate of Medical Education & Research (DMER), Government of Maharashtra has published selection list of candidates for various courses. Candidates will be able to check the selection list through the direct link which will be provided here. Certificates / Documents to be brought on the day of Document Verification process and Counselling. Copy of downloaded Admit Card. 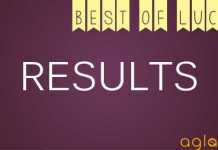 Copy of downloaded PGP/PGO/PGASLP/M.Sc(P&O)-CET 2018 result. Attempt certificate of all examinations in Bachelor’s course from head of institution. Non Creamy layer Certificate (VJ, NT1, NT2, NT3, OBC & SBC) valid upto 31st March 2018. Person with Disability Certificate. (For PWD Claim) If applicable, Caste Certificate, Caste Validity Certificate, Non Creamy Layer Certificate for Person with disability (PWD)Candidate – As per annexure E of this Brochure. Click here to check the Selection List for Mop-up ROUND 2-Only for Govt./Corp.Institutes. Click here to check Selection List for M.P.Th. (Mop-up Round 1). Candidate must be an Indian National. Nationality Certificate issued by District Magistrate or Additional District Magistrate or Chief Metropolitan Magistrate / valid passport /School leaving Certificate of 12th Std. indicating the nationality of the candidate at “INDIAN”. Shall constitute the proof of nationality. Persons of Indian Origin (PIO)/ Non Resident Indian (NRI)/ Overseas citizen of India (OCI) are not eligible. A candidate, who has passed final B.P.Th./ B.O.Th. examination (recognized as per Maharashtra State Council for Occupational Therapy and Physiotherapy Act 2002): Final BASLP/BPO examination (recognized As per The Rehabilitation Council of India Act 1992); from an college/institution situated in the State of Maharashtra is eligible to appear for this examination provided he/she has completed prescribed duration of compulsory rotating internship by 31st August 2018. A candidate who is undergoing rotating internship and who is likely to complete the same by 31st August 2018 can appear for PGP-CET2018. Such a candidate will have to submit the documentary proof, from the Principal / Dean of the college regarding the date of completion of the internship at the time of Preference form filling process. A Candidate, who was admitted to the college/institute, which is now affiliated to the Maharashtra University of the Health Sciences (MUHS) will be eligible till such time as he/she is awarded the degree by the University established under Maharashtra Universities Act, 1994. The candidate belonging to Backward Class must have claimed so in his application form, failing which such a claim will not be entertained subsequently. the Candidate belonging to Backward Class Category should submit the certified copies of Caste Certificate, Caste Validity Certificate and Non-Creamy Layer Certificate (wherever applicable) at the time of Preference form filling process. The available postgraduate seats for admission to the concerned stream will be distributed in accordance to constitutional reservation policy of State of Maharashtra as mentioned in Annexure “B”. The specified reservation under Person’s With Disability (PWD) category shall be filled as mentioned in Annexure “C”. The candidates belonging to DT(VJ), NT-1(A), NT-2(B), NT-3(C) and OBC/SBC categories should submit Non-Creamy layer certificate issued by the appropriate authority and should be valid upto 31st March 2018. The candidate admitted for the graduate course on the basis of Court order for Caste claim is required to submit Caste Validity Certificate given by the Caste Scrutiny Committee or a fresh court order, failing which the claim will not be granted and the candidate will be considered as an Open category candidate. Cut off date for Eligibility: The eligibility of candidate shall be determined for all purposes including the applicability of all these Rules & Regulations by considering the last date of submission of Preference Form as the cut off date. It is made abundantly clear that if a candidate is found ineligible or has an invalid reservation claim as on the last date of submission of preference form, in terms of these Rules & Regulations, and if such an ineligible candidate/invalid reservation claim acquires the requisite eligibility after the aforesaid cut off date (i.e. the last date of submission of Preference Form), such subsequent acquisition of eligibility will not make an ineligible candidate / invalid reservation claim eligible / valid for any purpose whatsoever. Candidates who have passed Final year B.P.Th./ B.O.Th./ B.A.S.L.P./BPO exam from institute located outside Maharashtra. Candidates who have passed Final year B.P.Th./ B.O.Th./ B.A.S.L.P./BPO exam from institute not recognized by respective Council. Candidates who are not completing internship on or before 31st August 2018. Candidates who were admitted to and subsequently resigned/left a postgraduate seat after the Prescribed date resulting in the lapse of seat in the admission process of 2016. Candidates who were previously registered and are pursuing / have completed the PG degree course or have obtained PG degree. Candidate can fill their application form to appear in the Common Entrance Test for various postgraduates courses from here. Candidates are advised must ensure their eligibility and other conditions before filling the application form. Cost of online application form of PGP-CET 2018 & examination fee is Rs. 2000/-. Bank transaction charges for Online Payment of application fees will have to be borne by the applicant. This amount is not refundable. Password/Date of Birth for downloading the admit card. Directorate of Medical Education & Research (DMER) has announced the result of DMER PGP CET 2018. Candidates can check their result from the official website by login through their Registration No. & Password. The link to check the result has also provided below. Directorate of Medical Education & Research (DMER) will be released Question papers & Provisional Answer key on the official website. Candidates will be able to check the question papers & answer key by login into their account. The link to log in and check the same will also be provided here on this page. For more detail of DMER PGP CET – Download 2018 Information Brochure.